This elegantly designed carafe aerates your wine in one easy step. 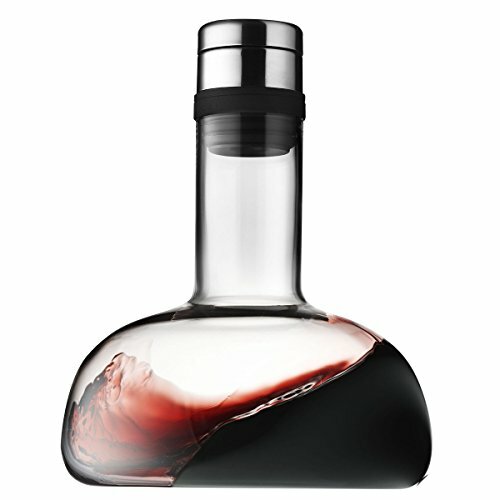 Simply press the decanter onto the top of an opened bottle of wine and flip it over so that the wine pours into the decanter. You can serve the wine from the decanter, or flip it back over once it's done and pour the aerated wine back into the bottle and serve from the original bottle.